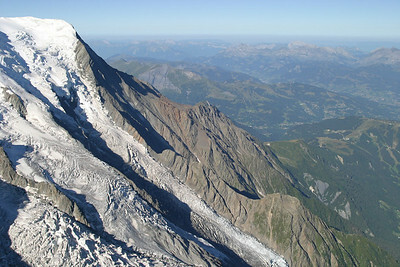 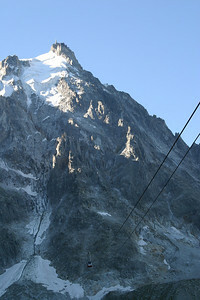 For those who do not feel intrepid enough to climb Mont Blanc (15,781 ft.), the tallest mountain in Europe, there is a handy gondola that will take one up to the summit of a nearby spire, the Aiguille du Midi (12,605 ft.), and then across the glaciers of the Vallée Blanche to Point Helbronner in Italy. 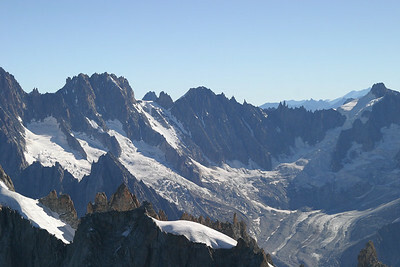 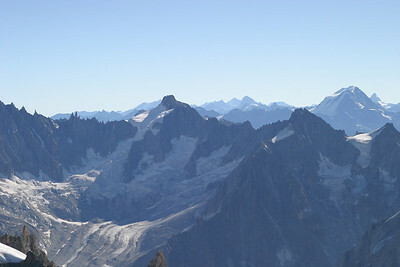 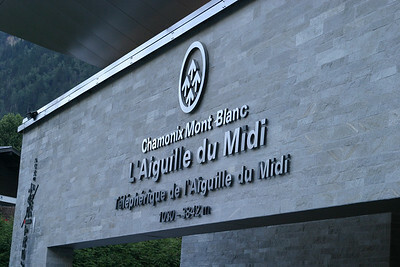 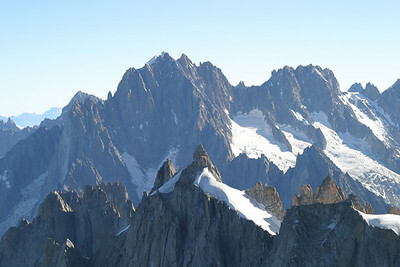 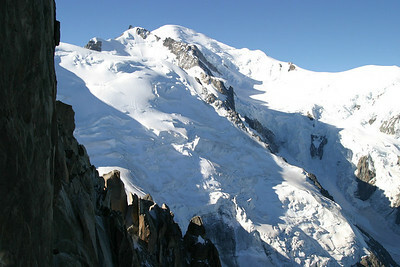 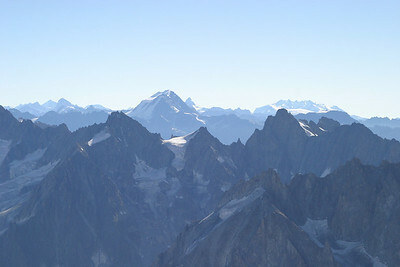 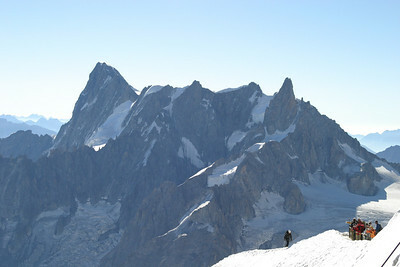 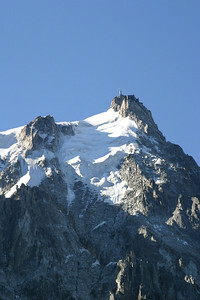 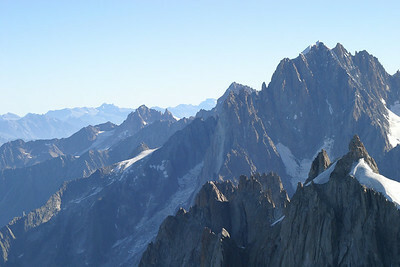 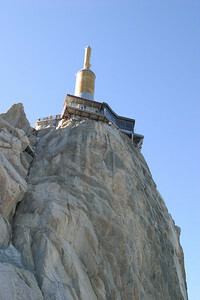 The Aiguille du Midi (12605 ft) from the mid-station at the Plan de l'Aiguille (7600 ft). 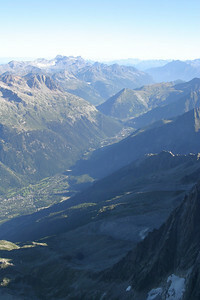 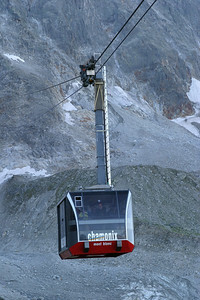 There are no support towers for the gondola between the mid-station and the summit; the trip is made in a single span. 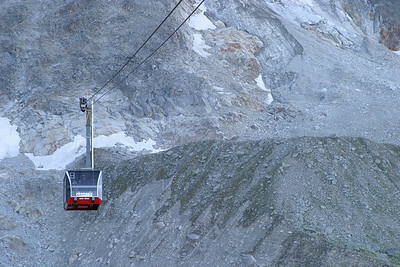 The cables and a gondola car are visible in this image. 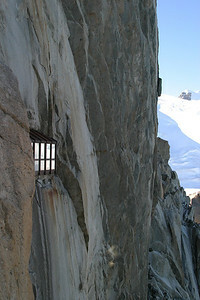 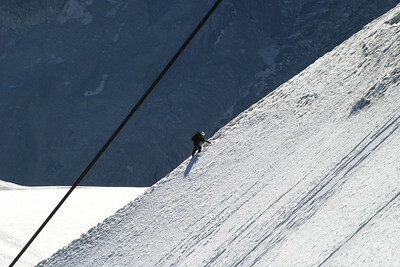 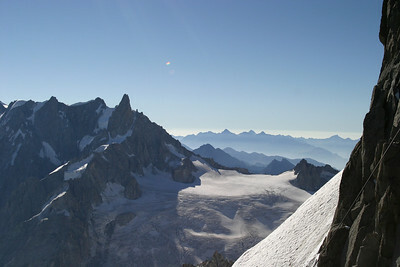 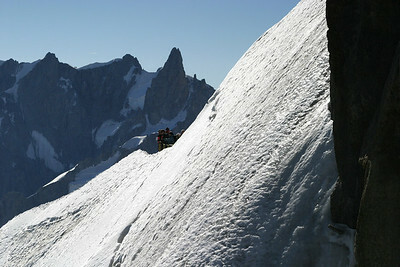 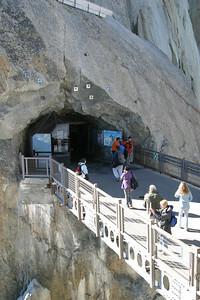 Climber returning to the Aiguille du Midi station, with the Grandes Jorasses in the background.